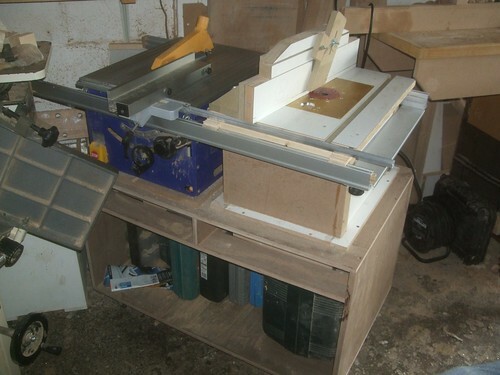 Table Saw/Router Table Station – Complete! Sometimes, I intend to write a post but, for one reason or another, it takes me a while to actually get around to writing it up and publishing it on this site. This ‘station’ was completed several weeks ago and, in that time, I’ve made numerous attempts to sell it, with a couple of potential buyers very interested at the moment. 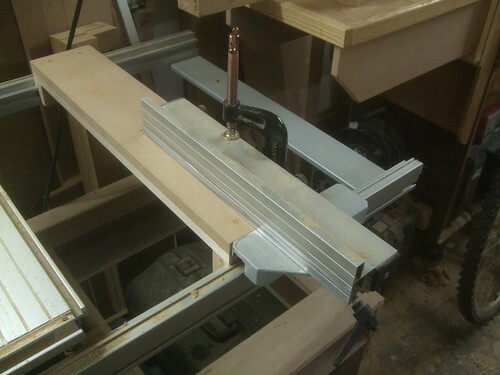 I made it with the intention that I’d be able to use it and further my woodworking but, that’s not practical in my current workshop, when I have much more of a need to use the other machines in close proximity. I decided I would try and use my extended table saw for some of these rips; mainly, because I couldn’t be bothered to get my saw horses out, setup the cutting table and also to mess around with the circular saw and guide again! These components weren’t as big as the plywood I was cutting before and, with the PK200’s fence G-cramped to one of my temporary width supports, I was able to make cuts as wide as 600mm and slightly more (not that I quite needed to cut such a width). 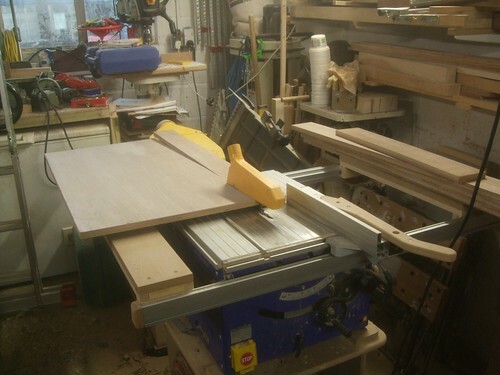 I’ve been off work for the past week (using up some, but not all, of my outstanding holiday) and, last weekend, after buying a sheet of 18mm ply on the Friday, I decided I would try to make the most of these five-days with some time in the workshop, constructing the base cabinet for my table saw/router table station. At the time of writing this, I have most of the work done but, there’s still much to do and I feel that I could’ve organised my time and made better progress (ie. finishing the whole thing earlier in the week). 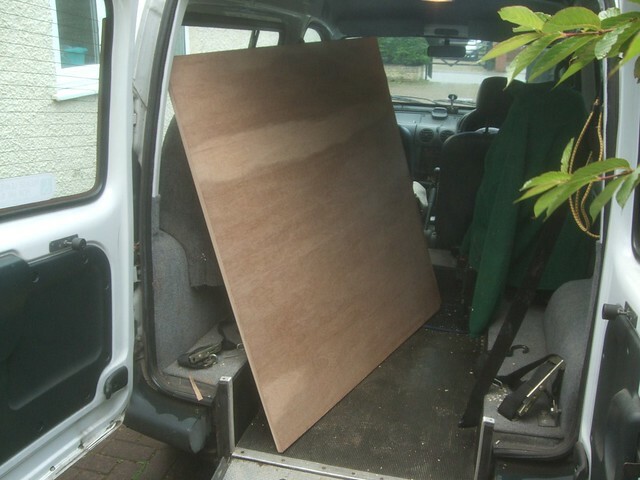 Working with two half-sheets (4ft x 4ft) was quite easy, especially once setup on my knock-down cutting table on my saw horses. I don’t know how I ever managed without one before! One the larger cuts were made (for the base and both sides), I could bring the leftovers in to the workshop and make the narrower rips on my table saw.